Give their brain something to sing about! Wee Bop is thrilled to announce a new partnership with Sarah Jane's Music School beginning in June 2019! Founder, Sarah Perbix started her piano studio 16 years ago and opened Sarah Jane's Music School 4 years ago. It has quickly become THE place in NE Minneapolis for individual and group music lessons. Sarah Jane's is located on Central Ave just a few blocks from the old Wee Bop studio. 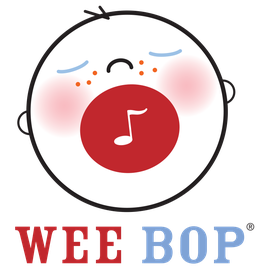 In addition to Wee Bop's regular offerings, you can now find many summer classes, camps and instrument instructors to keep developing your kiddo's music talent! Sarah Jane's Music School and Wee Bop invite you to an Open House celebrating our new collaboration. What to expect: Lots of music, a musical craft, a sample class, and information about our offerings -- and of course fun for your kids!